Many individuals hold property for rent. Rental properties can make good investment options as they diversify an individual’s overall portfolio, the mortgage can often be satisfied by the rental payments as equity grows in the property and with the allowable deductions, including depreciation, a loss may exists that allows the individual to lower their total income and thus taxable income. In regards to the losses, it is important that those renting property understand rental losses and when they are allowed and when the rental loss is not allowed. The article below has been prepared to provide general information regarding rental losses. Rental income is generally considered a passive activity and thus is subject to the passive loss allowance rules under the Internal Revenue Code. Under the code, a passive loss would generally not be allowed unless: 1) the taxpayer had passive income (passive losses can be allowed to the extent of passive income); 2) the taxpayer actively participated in the real estate activity and qualifies for the $25,000 rental real estate loss allowance; 3) there is a qualifying disposition under the Internal Revenue Code; or 4) the taxpayer meets the criteria to be considered a real estate professional. It is likely the most common fact or circumstance that allows a taxpayer to take the passive loss is the $25,000 rental real estate exception. This exception allows a taxpayer with certain income to take the passive loss, up to $25,000 if the taxpayer actively participated in the rental. Further, the taxpayer should know that the rental activity cannot be an equipment leases, but rather a real estate rental, they must have actively participated and their adjusted gross income needs to be within a certain amount or the allowance can be lessened or not allowed at all. Thus, how does a taxpayer show active participation in a rental activity? In general, if the taxpayer participates in the management of the rental activity they are likely to be considered to actively participate. The taxpayer does not necessarily need to work a certain number of hours, but rather show they are exercising their own independent judgment and decisions regarding the rental, and not following the requests of another individual. 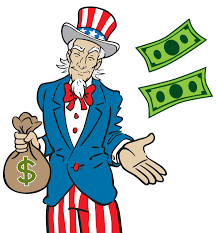 There are specific taxpayers that do not meet the active participation requirement, which are: 1) A limited partner; 2) A taxpayer with less than 10% ownership; and, 3) A trust or corporation, because the $25,000 allowance is only intended for a natural person. It should be noted that a grantor trust could be an exception to number 3 above because a grantor trust is owned by a natural person because it is not deemed a separate entity. The above article has been prepared by John McGuire, a tax attorney and business attorney at The McGuire Law Firm. John’s practice focuses primarily on matters before the IRS, tax planning & analysis for individuals and businesses and business transactions from business formation to business contracts and the sale of business assets and interests.